Corporations are key partners in helping PROJECT REOVER provide support, education, information, programs and hope to families living with autism. Companies that partner with PROJECT REOVER demonstrate their commitment to children with autism to their clients, employees and the community. 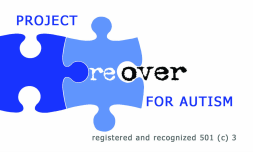 PROJECT REOVER is pleased to offer this unique program to companies that are interested in providing aid and support to our workshops, services, and events for children with autism and their families. The Corporate Sponsorship Program allows companies to support our Autism operations, while providing advertisement and visibility to the businesses sponsoring PROJECT REOVER. Sponsorship levels range from $1000 to $25,000+. See our promotion & visibility chart below.